In the wake of Gérard Depardieu’s scandalous “defection” to Russia to escape high French income taxes, liberal Russian journalist Gleb Razdolnov yearns to know what the hell he was thinking. You’ve taken the decision to abandon your homeland, France. We will not talk of the reasons that prompted you to take this step. Such a decision cannot be condemned in the 21st century, when free people can (and should have the right) to freely move about the entire world and independently choose their place of residency. Your decision is the decision of the free man. However, dear Gérard, before submitting an application for Russian citizenship, you should (must) have repeatedly assessed the repercussions of such a démarche. 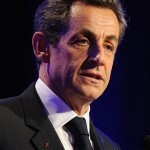 You do not like the French leader with his leftist, socialist views; you are fleeing from a government which, in your view, abuses your rights as an entrepreneur, a businessman a talented actor, and an individual person? But why are you seeking protection in a country where these rights are abused every hour? Why do you ask for help from people, who have deprived thousands of children of their human and constitutional rights in their own country? Why are your preparing to pay taxes to a state which has thrown dozens of people into prison just for standing up against falsified elections?! Or perhaps you don’t understand that your citizenship appeal will raise the ratings of the ruling party and improve the image of the person who has essentially usurped power in Russia?! Do you really not know any of this, or do you simply not care? I do not want to believe that you are a soulless monster, who thinks only of his own well-being. I do not want to believe that you, my favorite actor, are able to just forget about humaneness, about candor and the milk of human kindliness… I can’t believe it! You played a magnificent role in the magnificent Russian film “Envy of the Gods”, which graphically tells the story of how a soulless regime, personified by its oprichnik-bureaucrats, ruins human lives and tortures people. Why are you today playing the same negative characters, who were portrayed in the film? Why? 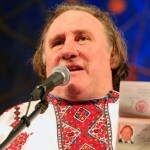 I want to know why a great actor, a master of his art, a respected man, whom I would always be joyful to see in my country – why is Gérard Depardieu becoming a clown in a play of the Kremlin puppet masters??? The original publication: ОТВЕТЬТЕ, ЖЕРАР!.. (ОТКРЫТОЕ ПИСЬМО ДЕПАРДЬЕ) (Глеб Раздольнов, Эхо Москвы). 3 January, 2013.